Weather permitiiing, we will go to the studio to interview Fred Williamson tonight at 1230am. My fav movie of his is From Dusk Till Dawn. If the Hurricane cause problems it will be recorded and rebrodcast another day. 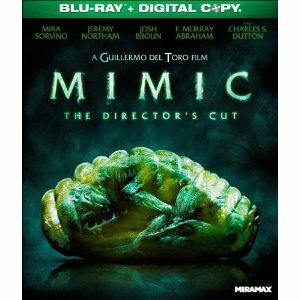 Check out my reviews of Both new Horror movies out over the last couple weeks.. I also cover the original Fright Night films as well. Both films are playign at The Leominster Entertainment Cinema. On the show tonight Frances Manzo from the new slasher film Girl Scout Cookies, she will be callign in around 1230am est. Finally on Blue Ray at the end of Sept, at the begining of the month we get Halloween 2 and now this, what a great month to be a horror fan. Fred Williamson aka THE HAMMER ( From Dusk Till Dawn, The original Inglorius Bastards) will be on the show in two weeks. Camila Keaton ( I Spit on Your Grave) will be on the show in a week or so as well. Jason Zinoman author of Shock Zalue and Heather Langenkamp from Nightmare Part 1,3,7 and the I am Nancy Documentry both have recorded interviews waiting in the wings. Good stuff to come on Radio of Horror. We had a dry summer with the excpetion of Super 8 and Priest (Which S8 was really more sci-fi) we had no Horror movies this summer. This month we finally make up for lost time with Final Destination 5(which opens Friday) Fright Night, and Dont’t Be Afraid of the Dark. We will begetting in stuff for Fright Night…ie: Posters and Tempory Tattoos. If you come to Leominster Entertainment Cinema NEXT weekend we will be giving this stuff away. Soylent Green is ……. now that would be giving it away huh. I gurantee Hollywood will remake it but everyone by now knows the secret. 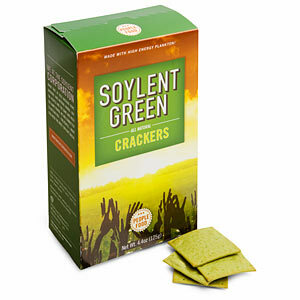 Think Geek.com has Soylent green you can eat, thats right never go hungary in the future with Soylent Green. 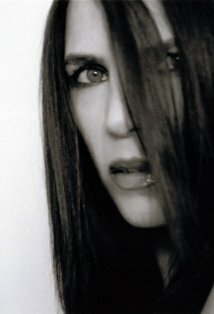 Star of the Italian film by Dario Argentio Suspiria she will be on the show tomorow night BARBARA MAGNOLFI. A guest at Rock an Shock this year. She also stared in a movie called Cut and Run and The S isters of Ursula. Tonight at Lucky Dog its Blacula, hosted by former Radio of Horror show guest Derek Ring. Check out the face book link below for more info than I can type. For more info on Blacula follow the IMDB link. Did you no he was on Pee Wee Playhouse.